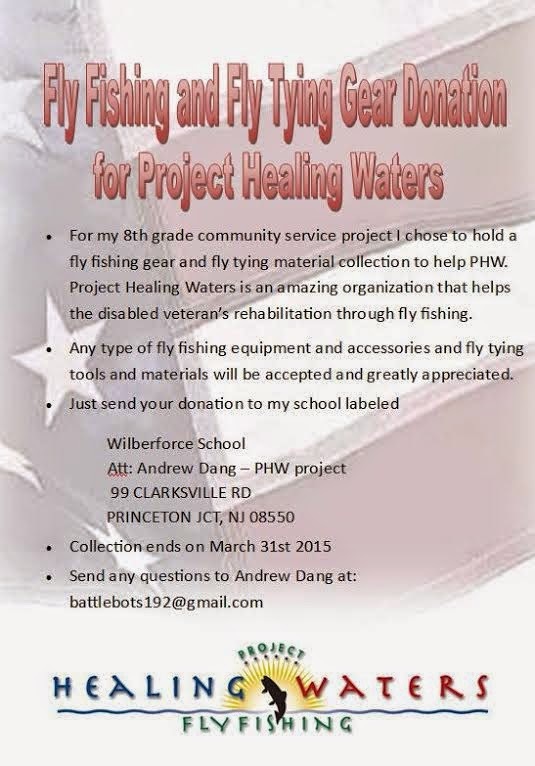 At a recent Fly Fishing Show, a young man named Andrew Dang approached me about his 8th grade community service project - collecting donations for Project Healing Waters. Project Healing Waters is a volunteer organization that works to rehabilitate disabled veterans through fly fishing activities. 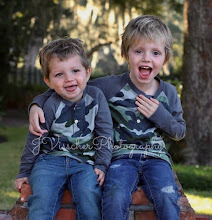 Andrew asked me if I would donate to PHW, and help him promote his project through my blog, which of course, I am more than happy to do. Here's the flyer he created with his contact information - click to enlarge it. The deadline for donations is March 31, 2015, and no donation is too small...or too big. I've got some gear I don't use anymore that is in perfectly good condition, which I'll be sending along to Andrew. See if you can find something to send him as well - you'll be helping two great causes - a thoughtful young man, and our disabled veterans. 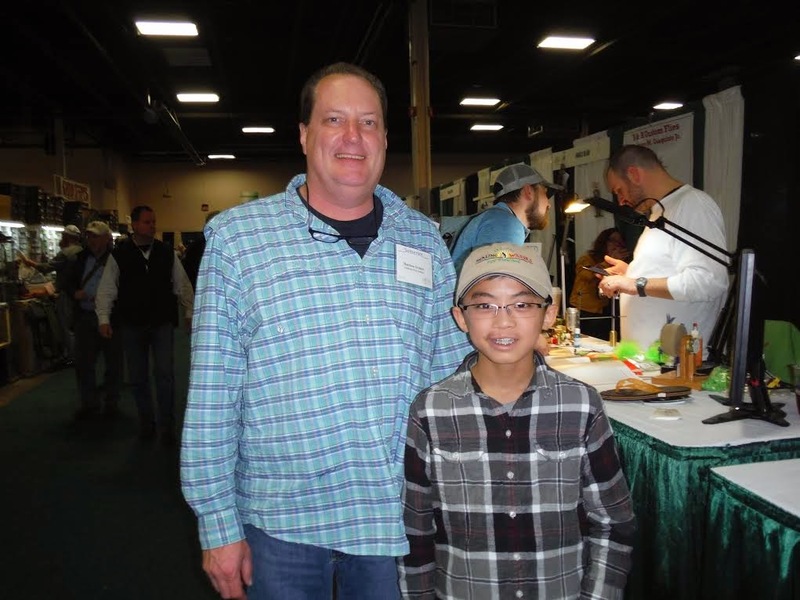 Here I am with Andrew at the Fly Fishing Show.